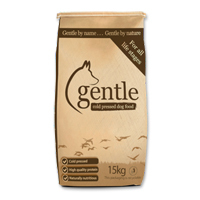 We all know that Nutrition plays a vital part in the health and happiness of your dog. Thats why at Taylors Petfoods Natural Pet Store we are totally obsessed with it and stock a wide range of foods including Grain Free, Cold Pressed, High Meat and Raw. To help our customers make an informed choice we put 'All About Dog Food's' ratings out of 5 for each food on the shelf front. This has seen many people steer away from commercial brands and try something of better quality for the same price or less. Here are some of the ratings that go to show why we no longer stock certain brands and why we do stock others.